Wakey wakey—San Diego’s chumby industries has introduced the chumby one, a new Linux-powered Internnet clock radio that can tap into online news, music, and information—even video—via built-in Wi-Fi. The chumby one joins the original chumby—now dubbed the “chumby classic”—in the company’s product lineup, and has one very important new feature: a lower price tag. The chumby one saves some money by chucking the original chumby’s Italian leather case for everyday plastic; the chumby one can also be powered by a rechargeable lithium ion battery instead of from wall power (although it doesn’t include a battery), and features both an FM radio tuner and a volume knob. Like the original chumby, the chumby one features USB 2.0 connectivity, a two Watt mono speaker, stereo headphone output, a motion sensor, and a 3.5-inch touch screen for configuring media. 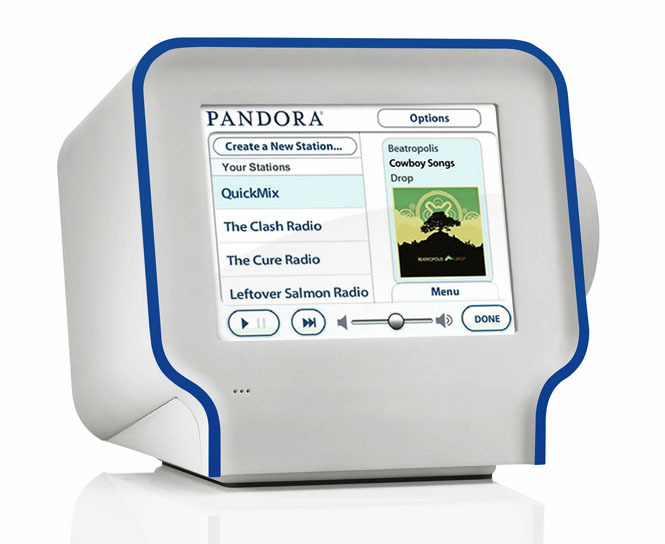 And the chumby one can tap into the same wide range of content as the original chumby, including partners like Pandora, Shoutcast, CBS, MTV, and The Weather Channel, along with social networking services like Twitter and Facebook, and photo sharing sites like Flickr. Users can also choose from more than 200 clock applications as their default. The new chumby one has a regular price of $199.95, but is available now to customers in the U.S., UK, Germany, France, Spain, Italy, and Portugal from the chumby store for $99.95 for a limited time. The original chumby—”chumby classic”—is still available for $199.95, Italian leather and all.